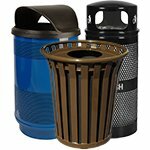 The Cityside series shines a new light on the world of outdoor collection programs while balancing the scale between design and durability. 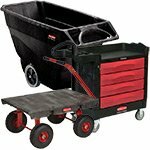 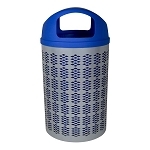 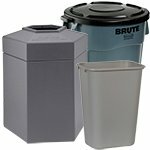 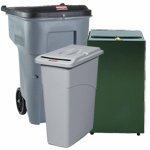 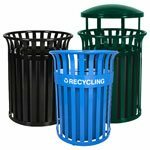 From material sourcing to construction, these bins make longevity a priority so you don't have to. 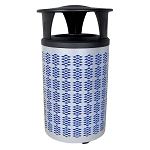 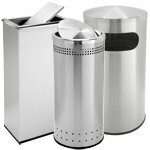 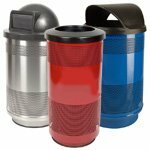 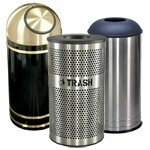 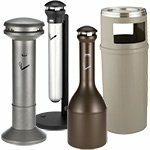 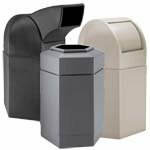 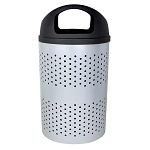 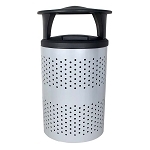 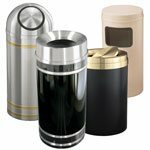 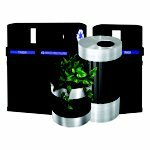 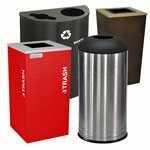 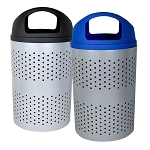 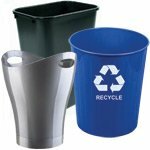 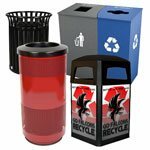 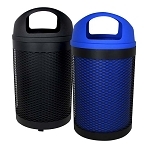 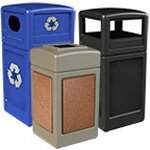 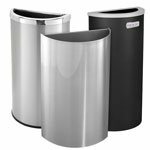 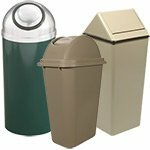 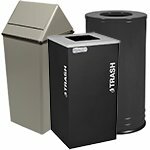 This multifaceted series offers quality containers that are devised to complement any outdoor space while promoting smart refuse collection. 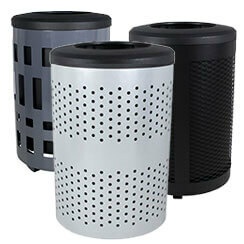 Pave a new path in your environmental journey with the Cityside series. 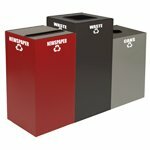 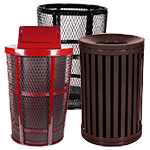 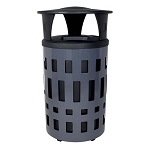 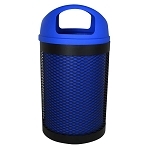 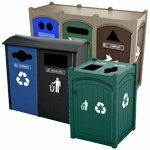 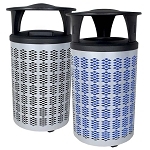 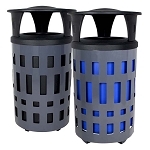 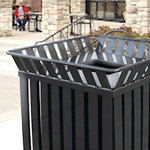 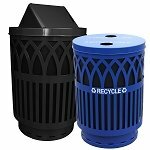 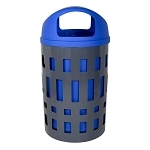 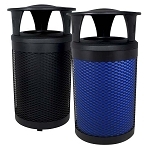 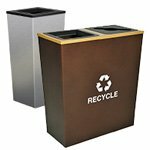 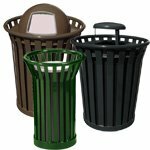 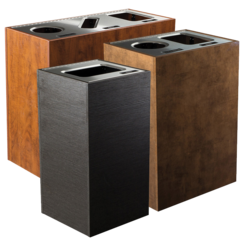 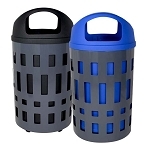 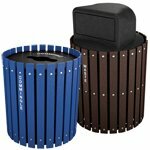 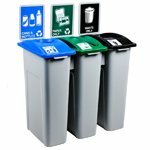 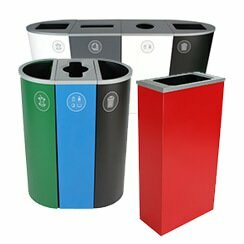 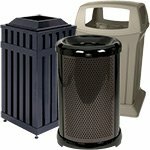 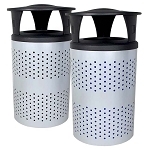 These great-looking bins can be secured to the ground for additional stability. 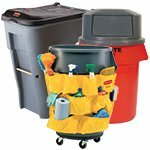 A bag-retention ring on the liners helps restrict bag movement and shifting, making for a tidy clean look and around Cityside waste barrels. 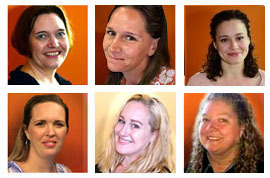 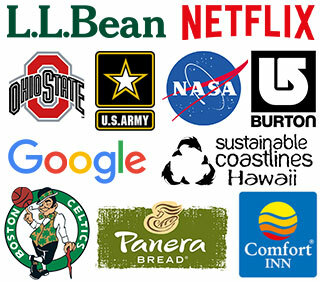 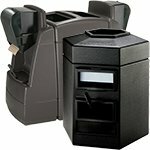 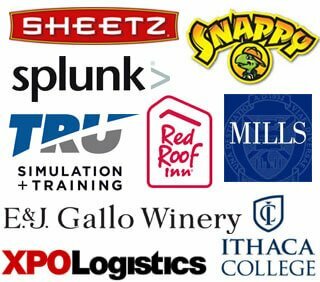 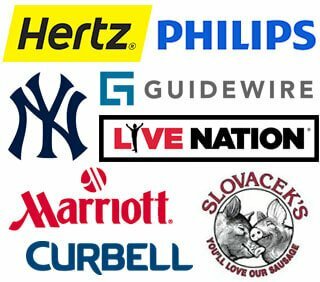 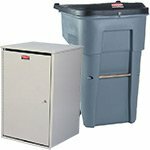 Boost the success of your collection program without taking a large bite out of your budget! 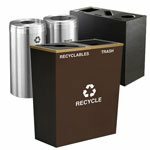 Harsh weather conditions and common wear and tear are no match for this series as exceptional quality is engineered into each container Let us help elevate your Environmental and Corporate Social Responsibility Programs by showcasing your dedication to stewardship of the land. 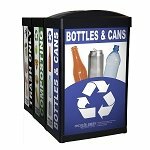 Exceed your customers, employee and visitors expectations by introducing this series onto your facility or grounds. 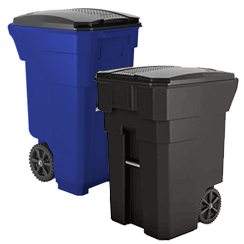 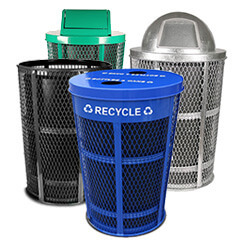 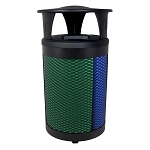 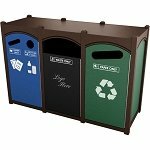 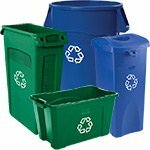 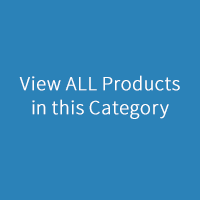 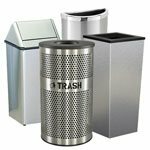 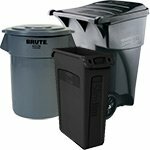 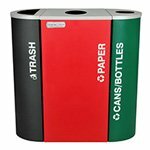 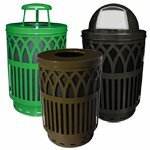 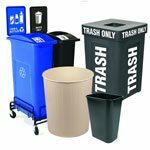 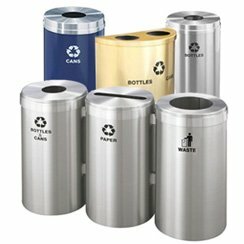 No matter what kind of garbage or recycling bin you need, TrashcansWarehouse.com has you covered!